Dialogue Space > The Nexus Times > Can Europe utilize bioenergy without compromising sustainability? Can Europe utilize bioenergy without compromising sustainability? Humans use biomass for multiple uses, mainly as sources of food, feed for livestock, energy generation and, recently, biomaterials. With a growing global population, a shift in diets towards one based on animal-source food, and higher expected demand for bioenergy and biomaterials, the pressure on biomass and the resources needed for its production will continue to increase. These growing demands can be met by increasing biomass production, but the intensification of production is often associated with higher input agriculture, which has effects on soil and biodiversity. In the EU, the potential for increased productivity is limited as yield gaps are small. Expanding the areas for biomass production could potentially avoid the damaging effects of higher input agriculture, however this could come at the expense of natural areas of high biodiversity value. For these reasons, the expansion of areas for biomass production to meet EU demands has occurred mostly outside of the EU. In fact, the imported share of the biomass footprint in the EU has grown by 33% from 1995 to 2009. If Europe decides to achieve all the Sustainable Development Goals while minimising its need for imports, trade-offs among goals of food security, climate change mitigation and sustainability may appear. This raises the question of how the multiple claims on biomass can be handled sustainably. Bioenergy still remains one of the major renewable energy sources, with 64% of all renewable energy in the EU-28 coming from biomass in 2016. Many potential solutions are available to avoid the competition for biomass and minimise its impacts. Solutions include using marginal lands that do not compete with food production, the use of biorefineries that produce many high-value products from few resources or making use of biomass residues that currently go to waste. Therefore the question becomes, what is the scale of the current problem and which solutions may present likely futures? Such integrated problems and solutions will require a new kind of policy-making, as the trade-offs linked to expanding bioenergy touch upon a number of policy domains in the EU, especially the Circular Economy and Bioeconomy policies. Synergies between policies will have to be better exploited and policy-design will likely have to address consumers as much as producers. Given that the EU increasingly relies on biomass imports and on natural resources worldwide, this also has implications for the EU’s ability to meet the Sustainable Development Goals. To what degree does the EU need to take responsibility for the impacts of its material consumption? To answer some of these questions we will assess the current situation. We will look at biorefineries processing biomass and producing a host of outputs such as fuels, feed, chemicals, materials and heat. Does Europe have enough land and water to meet its bioenergy use? Are capital and labour being displaced from elsewhere? To what degree does Europe depend on biomass from outside the EU, and is this socially desirable? Furthermore, we will ask what solutions represent likely futures and what their possible effects would be. Many biorefinery configurations are possible, generating different products and sourcing different feedstocks from different types of land. Such innovations will need a careful assessment from a range of perspectives as the innovations themselves are constantly developing. 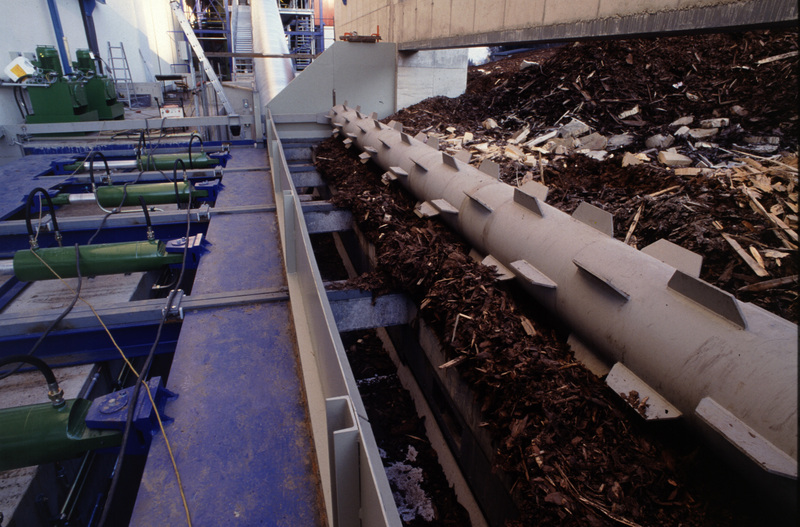 The problem of using biomass in a resource efficient way to meet the EU’s goals has been chosen for MAGIC because it is at the crossroads of sustainability governance and the water-energy-food nexus. It provides an excellent opportunity to discuss such a key innovation right when key EU policies, such as the Bioeconomy strategy and the Renewable Energy Directive are being re-assessed and the bioeconomy is gaining ground. Many solutions exist to address the competition for biomass but often these solutions come with their own trade-offs; for example, increasing biomass availability will be difficult in Europe and the dependency on biomass imports could worsen. Other examples include using marginal lands that don’t compete with food production, but this may interfere with other possible uses, such as nature conservation or livestock production. MAGIC will help in acting as a quality check for such solutions, to best avoid the pitfalls of being locked into incoherent policies.